Quick summary: Students are introduced to the topics of climate change and phenology. Students begin by brainstorming what they already know about climate change and then watch a clip to explore the issue further. Students then create a mindmap to explore how climate change might affect biodiversity, and watch another clip that shows how the science of phenology can be used to help us understand how climate change is impacting on biodiversity. The lessons in this unit have been developed in partnership with Earthwatch. Earthwatch developed the ClimateWatch program with the Bureau of Meteorology and The University of Melbourne to understand how changes in temperature and rainfall are affecting the seasonal behaviour of Australia’s plants and animals. 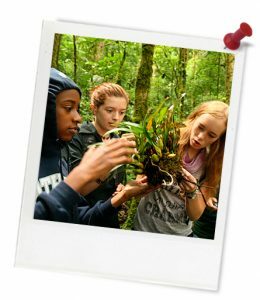 Students know how climate change impacts biodiversity. Students are able to relate the study of phenology to wider environmental impacts. Relevant parts of Year 7 Science achievement standards: Students communicate their ideas using scientific language and appropriate representations. Relevant parts of Year 8 Science achievement standards: Students use appropriate language and representations to communicate science ideas. Unit of work: ClimateWatch: Citizen Science – Science – Years 7 & 8, ClimateWatch: Citizen Science – Geography and Science – Years 7 & 8. Resources required: Internet, laptops and earphones, Student Worksheet – one copy per student, butcher’s paper (optional). Key words: Earthwatch, ClimateWatch, climate change, biodiversity, phenology. ... identify some of the causes, processes and consequences of climate change. ... explain how climate change might affect biodiversity. ... define the term phenology in their own words. ... describe, in their own words, how the science of phenology can be applied to understanding the impacts of climate change on biodiversity. ... describe some examples of altering phenology affecting the way plants and animals persist/continue to exist. 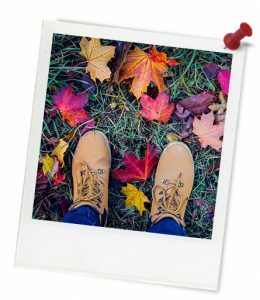 Thought starter: How might climate change affect the seasons? As a class you will watch a clip about climate change. As you watch, you should make notes about anything interesting or important you see in the clip. 1. What things did you find interesting or important about this clip? 2. How did this clip help to explain climate change to you? 3. What questions do you now have about climate change? As a class you will watch a clip about phenology. As you watch, you should make notes about anything interesting or important they you see in the clip.